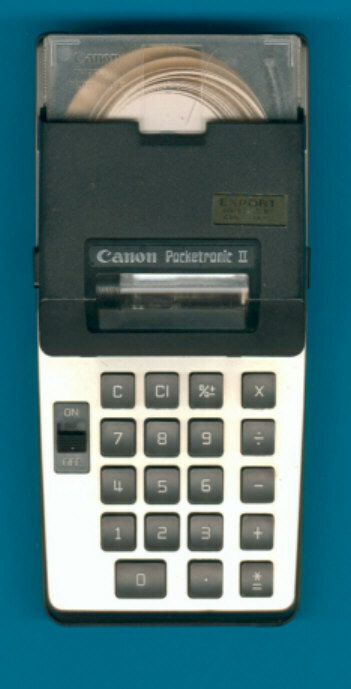 The Pocketronic II was the successor of the famous Pocketronic resulting of TI's Cal-Tech project. The main differece between the calculator is the squeezed electronics, the original three LSI-circuits of the Pocketronic were replaced with a standard calculator chip TMS0138. Instead of the integrated LED drivers a second integrated circuit drives the thermal printer head. This Pocketronic II still lacks any display, view the competition from Casio sporting an 8-digit LED here.